Dr. Brian L. Newell is President and Founder of Technical Project Systems, LLC. A native of Plankinton, South Dakota, Brian is an alumnus of the South Dakota School of Mines and Technology, where he earned Bachelor of Science degrees in both Electrical Engineering and Computer Science and graduated with Highest Honors. In the summers of 1984 and 1985, he served as a co-op student at Texas Instruments in Dallas, Texas, performing hardware / software integration for advanced projects. In 1986, Brian graduated from Stanford University in California with the degree Master of Science in Electrical Engineering. From 1986 to 1991, Brian worked as a digital engineer and software engineer for the ERIS seeker program at Texas Instruments. He then began a seven-year stint in the Central Research Laboratories of Texas Instruments with responsibility as manager, system administrator, and webmaster for RF device manufacturing operations. During this time, Brian enrolled in evening courses at UTD and ultimately earned the Ph.D. degree in Electrical Engineering in 1995. While at UTD, Brian studied under Dr. Jan van der Ziel and fabricated the NIST SEM Magnification Calibration Standard, currently in use worldwide. 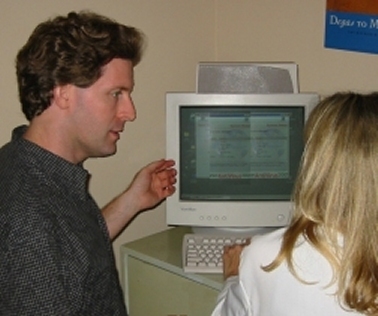 In May 1998, Dr. Newell organized Technical Project Systems, LLC, with the mission to provide secure computer network solutions to clients in all types of business. Dr. Newell is involved daily with projects encompassing a combination of computer networks, routers, Internet access, bank information technology, databases, website integration, and analysis of the ways in which technology applies to business situations. He comments on the current state of computer network security: "While the Internet is a revolutionary tool for productivity, in many situations Internet access has been provided for employees, especially in businesses with less than 100 computers, with little or no concern for network security. Protecting the business from employees' unauthorized browsing/downloading is a real concern and potentially catastrophic threat to the business. Technical Project Systems has experience in dealing with security threats and setting up appropriate restrictions while allowing employee access for the necessary business applications."